The Armstrong Browning Library (ABL), located on the campus of Baylor University, is a world-renowned research center and rare-collections library devoted to nineteenth-century studies. The ABL has established a Three-Month Research Fellowship for leading scholars from outside Baylor. Prof. Dino Felluga (English, Purdue University) served as the inaugural fellow during fall 2017, followed in fall 2018 by Prof. Clare Simmons (English, Ohio State University). Dr. Lesa Scholl (Head of Kathleen Lumley College, Australia) will serve as the fall 2019 fellow. Applications are being accepted for fall 2020, and are due by 5:00 p.m. (U.S. Central Standard Time) September 30, 2019. Finalists will be notified by October 18, 2019, and will be interviewed by early November. Qualifications: The ABL offers shorter-term fellowships to scholars at every level in their career. This Research Fellowship, however, is reserved for established and recognized scholars of nineteenth-century studies from outside Baylor with outstanding records of publication. Purpose: This Fellowship is designed to support three months of in-residence research by leading scholars of nineteenth-century studies. The Fellow will use the collections at the ABL to complete or significantly advance a major project (such as a monograph). Funding: $28,000 will be transferred directly to the Fellow's home institution in three installments to help cover expenses incurred by this Research Fellowship. In addition, the Fellow's initial travel to, and final return journey from, Baylor will be covered, as will lodging in well-furnished, high-quality apartments. This brings the total value of this fellowship to approximately $33,000. Residency: The Fellow will begin his or her residency in fall 2020. The Fellow will be expected to be in residence for a minimum of 80% of Baylor University’s regular fall semester, which in 2020 will run from August 24 through December 7. Public Engagement: During his or her residency, the Fellow will deliver one major public address related to his or her research to the Baylor university community and/or to the constituents of the ABL. With permission of the Fellow, the ABL will create a video of this presentation that could be made available free of charge to the wider public. Communication Plan: The Fellow will create a brief “communication plan” detailing how he or she would engage in some additional form of outreach to the university community and the world beyond. This requirement is deliberately flexible and we would welcome creative approaches by Fellows. Yet every communication plan should include the following: (1) at least one form of direct student engagement, such as offering a workshop or special session for Baylor undergraduates and/or graduate students; (2) some strategy for using digital tools and/or scholarly networks to share about his or her research at the ABL and related resources at the library. The ABL staff will assist the Fellow in fulfilling these goals. Concluding Archival Report: At the close of the Fellow’s term, he or she will submit a brief report on rare items at the ABL that he or she found especially useful and/or that deserve further attention by scholars. This will be used by the ABL to aid future scholars with their research, update library catalogs, and promote the library’s collections. Evaluation: To aid us in improving the Fellowship program, we ask that Fellows complete a brief survey and participate in an exit interview with the fellowship committee. Acknowledgment: Fellows will acknowledge the ABL and their use of its resources in all publications resulting from their stay, and will supply a copy of each related publication to the library. 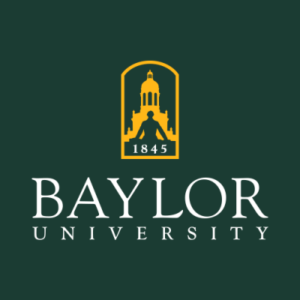 Application: A cover letter proposing a detailed plan of research, full CV, and two letters of recommendation should be sent to Dr. Joshua King, the Margarett Root Brown Chair in Robert Browning and Victorian Studies at the ABL (Joshua_King@baylor.edu). The cover letter should be no longer than three pages. The deadline is 5 p.m. (U.S. Central Standard Time) on September 30, 2019. The ABL holds an unparalleled collection of manuscripts, letters, and rare items connected to the life and work of Robert Browning and Elizabeth Barrett Browning. Yet its holdings extend far beyond the Brownings, containing over fifty-thousand manuscripts, books, letters, periodicals, tracts, pamphlets, and other cultural artifacts related to nineteenth-century literature (especially poetry), music, visual culture, politics, religion, and science. Especially strong are holdings for figures such as Matthew Arnold, Thomas Carlyle, John Ruskin, Alfred Tennyson, Anna Brownell Jameson, George MacDonald, the Rossetti siblings, John Henry Newman, Francis William Newman, Charles Dickens, William Ewart Gladstone, and Queen Victoria—to name only a few. The ABL boasts one of the best collections of letters, journals, and rare printed materials by Joseph Milsand, the nineteenth-century French literary critic, philosopher, theologian, and friend of Robert Browning. Romanticists will find letters, rare books, first editions, and manuscripts linked to authors such as William Wordsworth, S.T. Coleridge, William Blake, Percy and Mary Shelley, Lord Byron, and Sir Walter Scott. The ABL has amassed one of the world’s leading collections of volumes by nineteenth-century women poets, which includes a valuable representation of lesser-known poets alongside those, such as Katharine Bradley and Edith Cooper, who have attracted sustained scholarly attention. These holdings are complemented by a large collection of lesser-known volumes of Victorian poetry. A noteworthy portion of the collections is devoted to manuscripts and rare items related to well-known American authors such as James Russell Lowell, Henry Longfellow, Henry David Thoreau, Ralph Waldo Emerson, John Greenleaf Whittier, and Oliver Wendell Holmes (Sr.). Those interested in religious history will find especially useful the ABL’s collection of thousands of nineteenth-century religious tracts and pamphlets. These items and names represent only a fraction of the nineteenth-century subjects and figures, well-known and lesser-known, represented at the ABL.